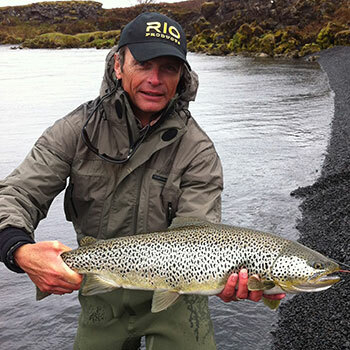 Simon Gawesworth learned to fish at the age of 6 and took up fly fishing when aged 8, being trained by his father - well known fly fishing instructor and author, John Gawesworth. By the time he left school at 16 to teach fly fishing Simon had become the British Junior casting champion, repeating the feat the next year. In the following years Simon broke seven British casting records and won the adult casting championships three times in succession, representing England in two European and one World Team Championships. Simon Gawesworth shares his techniques on using casts adapted from two-handed spey casting to one handed casts that enable you to fish the most challenging spots that most anglers pass by. With the collapse of the British Casting Authority and the tournament casting scene in the UK, Simon turned his hand to competitive fly fishing. Over the following years Simon represented England in three home internationals (against Ireland, Scotland and Wales), two European championships and five World Championships, culminating in the prestige of becoming the England Team Captain and Manager for the 2003 World Championships in Spain. During his career Simon has written numerous articles for the fishing press, published two books on spey casting, presented five instructional videos and DVD's, appeared on numerous television and radio shows, demonstrated casting at fly fishing shows around the world and is recognized as one of the leading authorities on fly casting and fly casting instruction. Simon's latest book, entitled Single Handed Spey Casting has just been published by Stackpole Books. He is a Master and THCI (Two Handed Casting Instructor) certified instructor and also holds the APGAI and STANIC diplomas for Fly Fishing Instruction in the UK. Simon works for RIO products in Idaho where he designs and tests fly lines, as well as being the marketing manager for RIO. He conducts fly casting classes and seminars around the world.